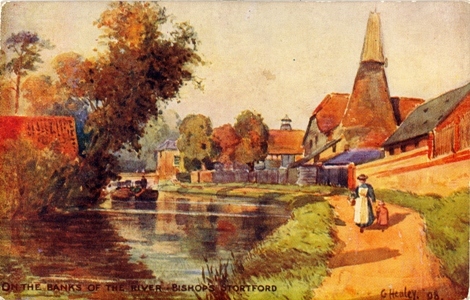 An Essex-born artist who painted a number of pictures of Bishops Stortford people including "The Landlord of the Chequers." 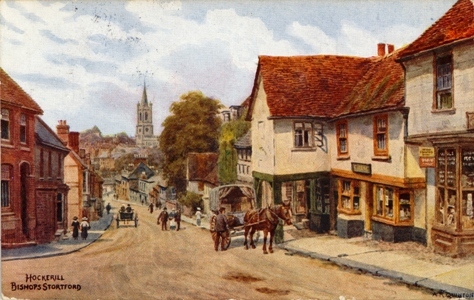 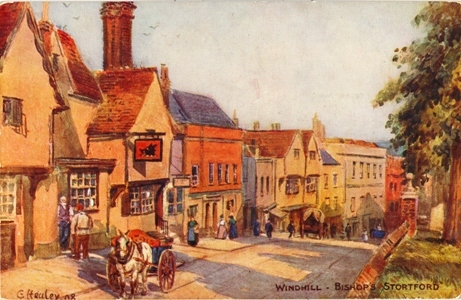 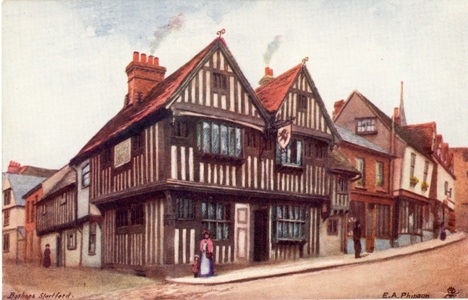 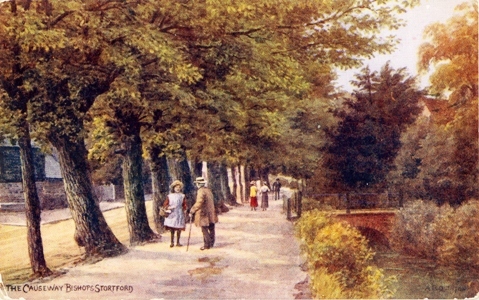 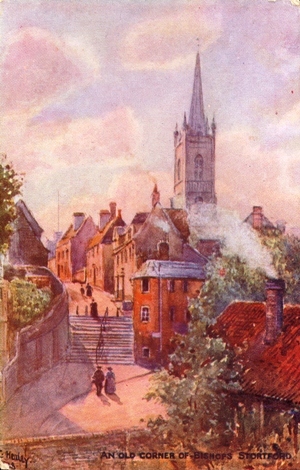 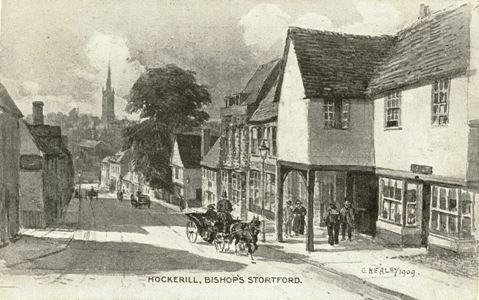 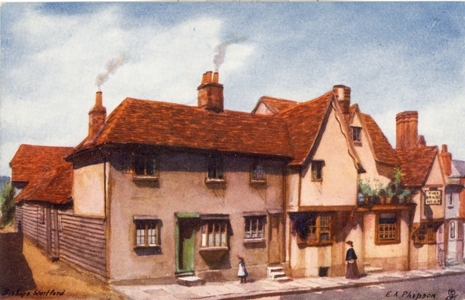 Published in a set of six cards in the Raphael Tuck "Oilette" Series under the title "Quaint Corners"
The other cards in the set were of Bramley, Surrey; Waltham Abbey; Kingston-on-Thames and Bocking, Essex. 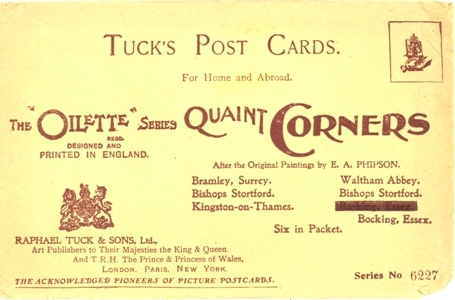 If you have any further information on any of these artists, please tell me.